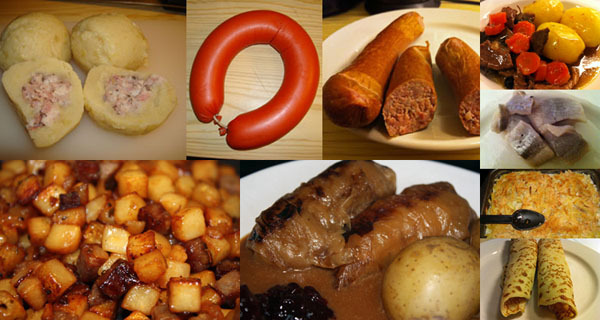 From being a local specialty the falukorv is today a classic in Swedish home cooking. However, falukorv is not a truly Swedish phenomenon. It was actually the Germans who worked in the Swedish copper mines in Falun in the 1500 and 1600's, who taught us how to make this sausage. Because ropes which were used for transportations up and down the mines were made out of ox hides back then. A lot of meat from these oxes were left over. And it was from this salted and smoked meat the Germans taught the Swedes how to make good sausage. Which means that originally falukorv consisted of 100% beef. Today a falukorv must consist of at least 40 percent beef and pork in order for it to be called falukorv. The sausage must also be put in a tract with a diameter of at least 45 mm. The name falukorv was first launched in Stockholm in the early 1800s when the sausages were shipped in large quantities from Dalarna. 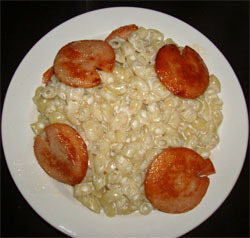 It became very popular during this century and became known as "working class food". 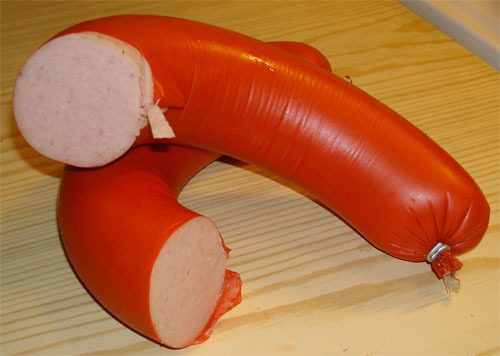 The falukorv has been name protected in Sweden since 1973 and is the only sausage in Sweden with its name protected. In 2001 the term falukorv was approved by the EU-commission as a Guaranteed Traditional Specialty. Which means that it has a traditional composition or/and is produced through traditional manufacturing methods. 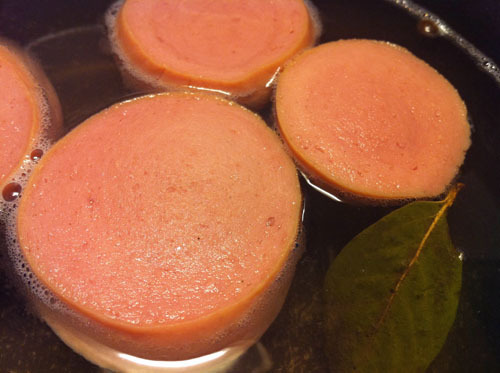 It is estimated that 7,5 million of Sweden's population eats falukorv. This means a yearly consumption of 3,6 kg per person, or 1,6 meters of falukorv per person. The red color does not come from Germany though, but from Lyon, France. It is said that a butcher in Lyon was the first to dye the sausage skin red. Which is why falukorv also is known as Lyoner. 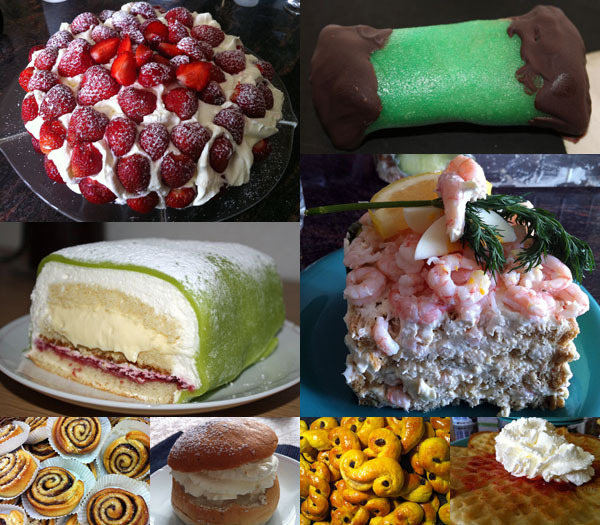 And as with most cherished foods or traditions the falukorv has its own day which we celebrate. It takes place in early June each year in connection with the yearly festival Falukalaset in Falun. There are many ways you can eat falukorv. And when it's fried in a frying pan or boiled, I think it can be served with almost anything. My favourite ways to eat falukorv is with milk stewed macaronis or with boiled potatoes, boiled cauliflower and mustard sauce. Yum! I also like to eat it raw. Especially as a spread on crisp bread. Mmmm.